This article is to show you my new Caran d’Ache “Pablo” color pencils because I think they are very beautiful. 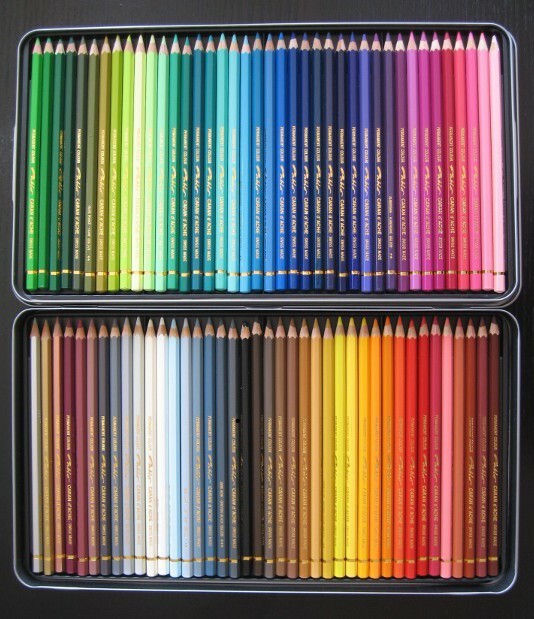 They are artist-quality colored pencils. I have not chosen the biggest color pencils set but still this one holds a rainbow of colors. Some skin-colored pencils are missing so I will use my peach and apricot crayolas to draw faces. I have not seen a big difference in the lines of my drawings but for sure I enjoy having a wider range of colors. 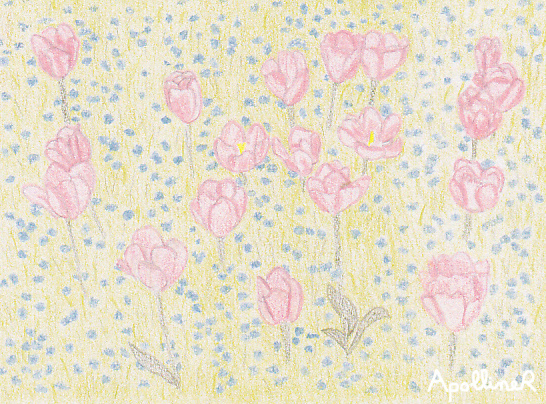 Below is a picture of a field of flowers that I have drawn using my new pencils. This entry was posted in Crafts by ApollineR. Bookmark the permalink.